The Punch PAUX is a universal panel mounted input port that allows you to have easy access to USB and Auxiliary audio connections. 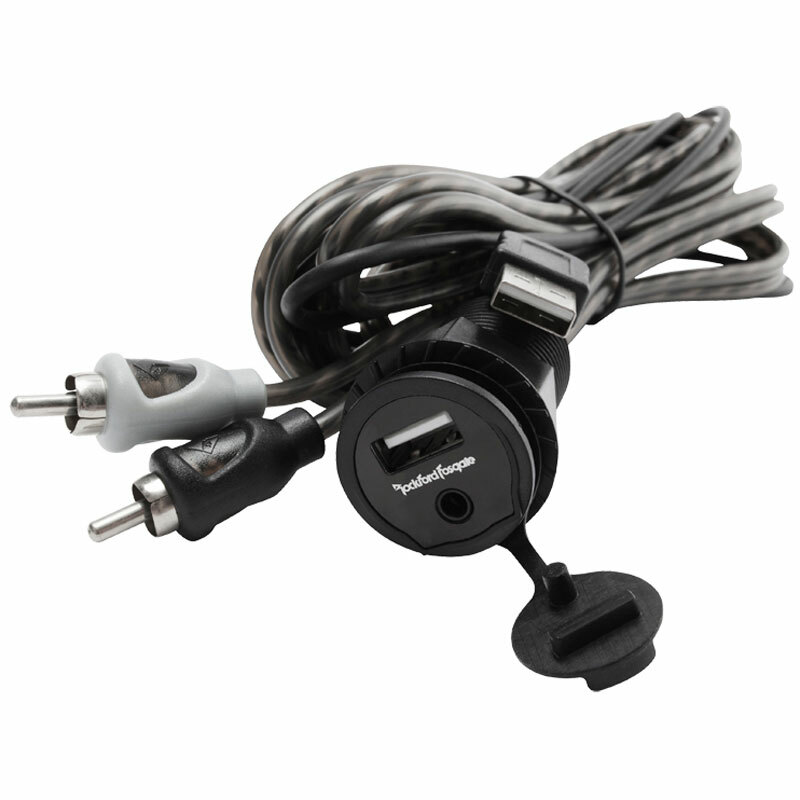 The port features a front mounted USB and 3.5mm audio connection, which is attached to 6 ft. extension cables terminating at a female USB and male stereo RCA. This port is designed to extend these types of connections from the back of a source unit to an easily accessible spot on the dash or console. This helps eliminate unsightly cables from hanging out of the dash or glove compartment and provides a more secure connection for your mobile devices. The unit mounts in a 1 in. mounting hole and secures with the included retaining nut while the water resistant cover helps to keep out moisture and dirt when not being used. Panel mount connection for easy access to USB and Aux inputs.